The breakfast at L’hôtel restaurant Les Avisés, Chez famille Selosse was so neatly laid out, the coffee and pastries were perfect, (not easy)! the breads divine, accompanied with local cheeses and cured meats and a fried egg made to perfection what else would you ask for first thing in the morning after a perfectly good night sleep. We drove up north from Avize to Reims pass Epernay (we will return there soon enough, it is a very busy day…) we enter Avenue de Chamapgne and the Names of the BIG Houses of Champagne at the entrances to each of the Polished “suit wearing” champagne house appear on every corner , Here’s Veuve Clicquot. 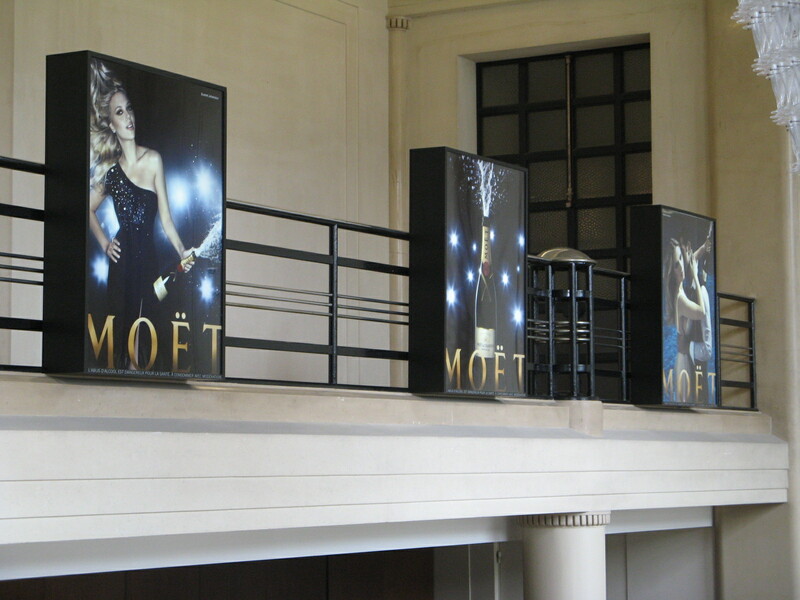 Than Pommery on the corner of Bd. Henry Vasnier , from there up Rue Libergier. The glory size and beauty of Rheims Cathedral “hits” you in the face. This cathedral is counted amongst the top 7 Gothic Cathedrals of Europe, proudly stands with Milan and Seville Cathedral, York minster, Notre Dame de Paris, Santa Maria del Fiore in Florence and Chartres Cathedral near Paris. 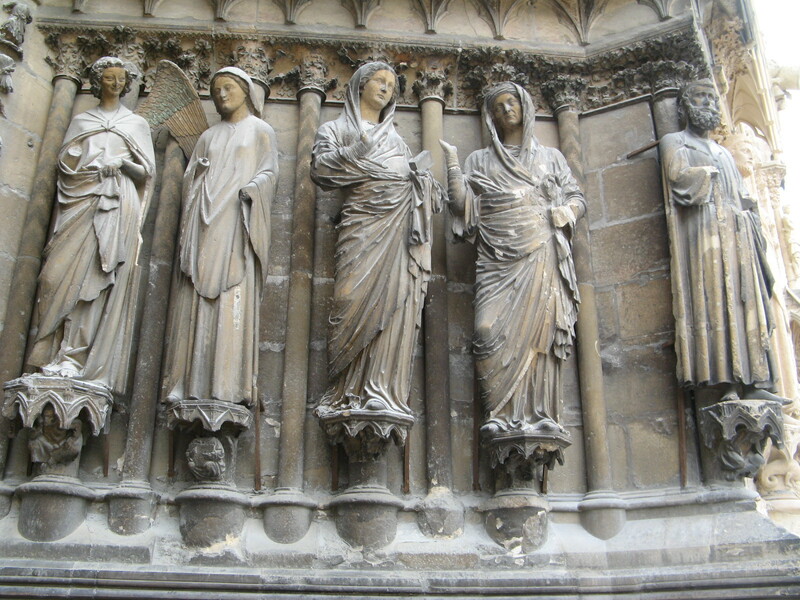 All the kings of France were once crowned in Rheims Cathedral. 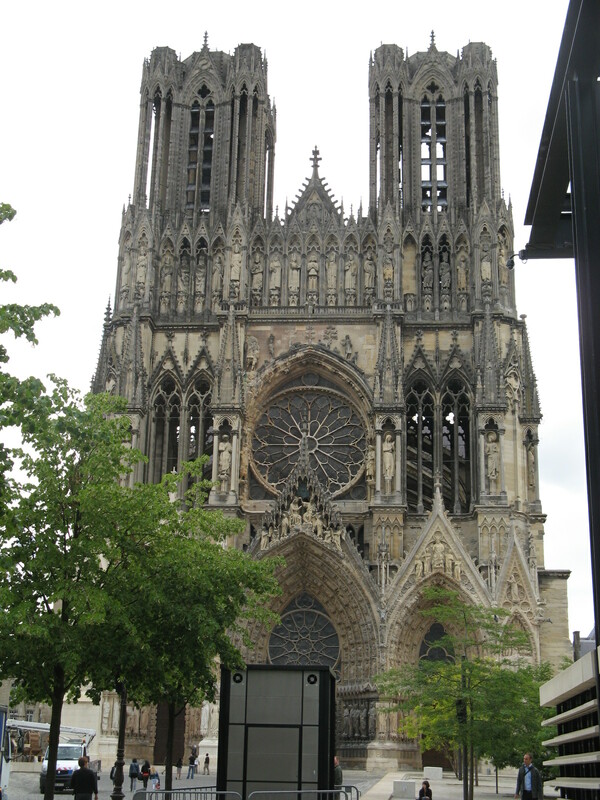 Along with the cathedrals of Chartres and Amiens, Rheims is a member of the illustrious triad of “High Gothic” or “Classical” French cathedrals built in the 13th century. 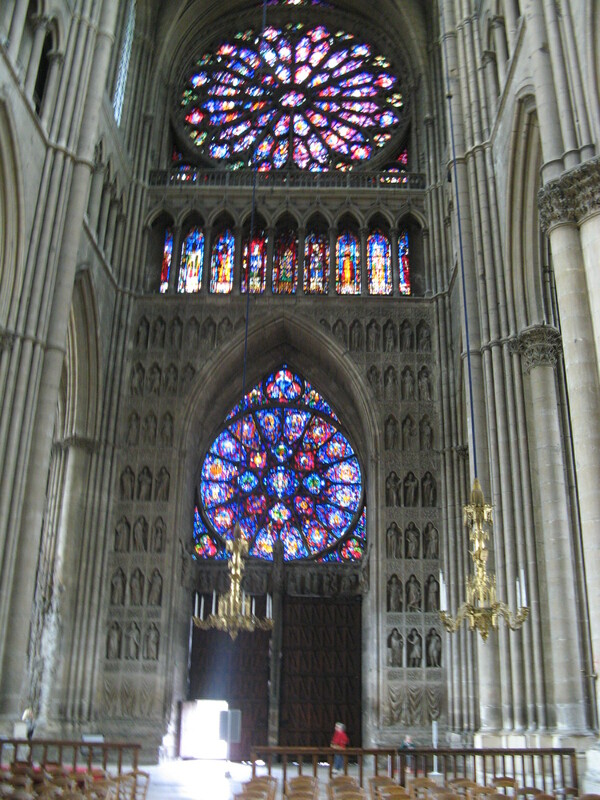 Yair gives me 20 minute to wonder around this wonder of medieval architecture where In 498-499, Clovis the first King of the Franks who united all the Frankish Tribes in Gaul was baptized by Saint Remi. However, the first king to be crowned was Pepin the Short at Soissons in 751, then again at Saint Denis in 754 by Pope Stephen II. 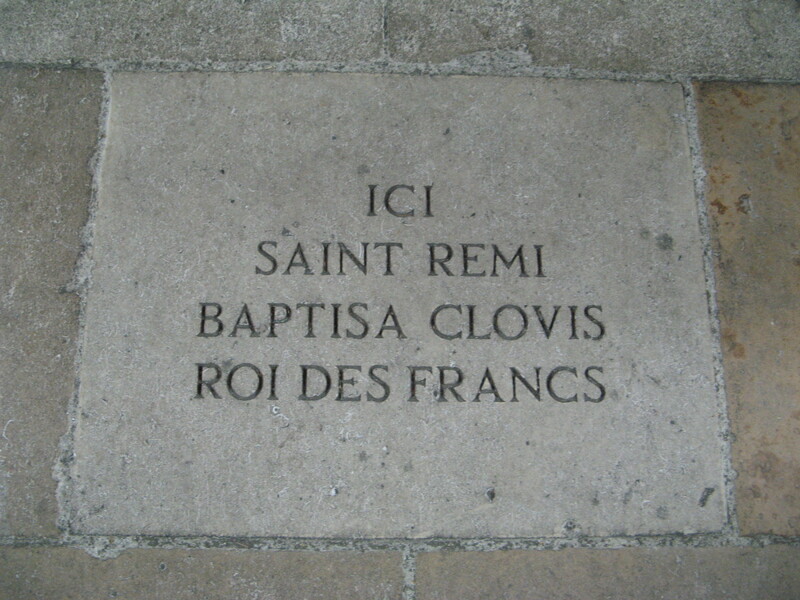 From then on, all the Kings of France were crowned in Rheims by their archbishops. 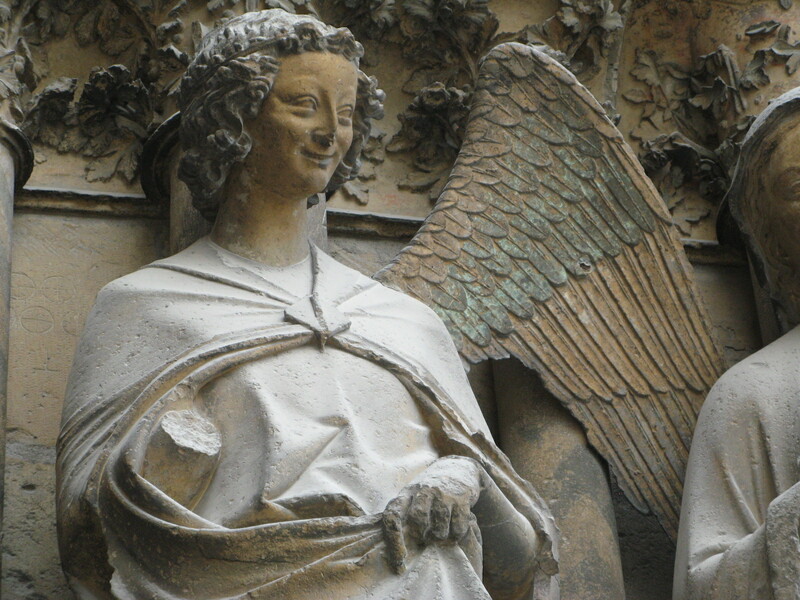 But the symbol of the Cathedral and indeed the City of Rheims is without a doubt a statue of a smiling Angel at the North façade of the North Portal (the main entrance). 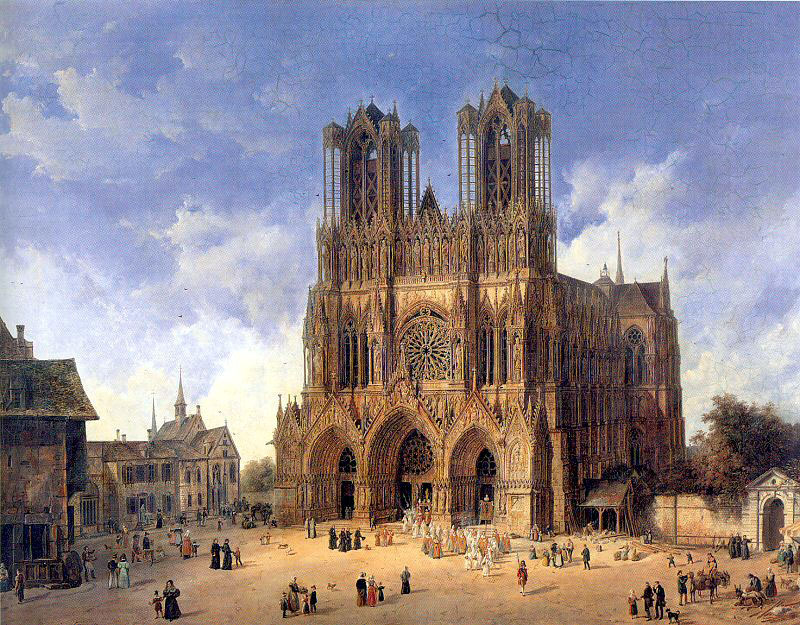 It has a story that goes like this: At the outbreak of the First World War, the 13th-century Rheims Cathedral was seriously damaged by German shelling. The serene heavenly smiling statue of Angel on the north portal was decapitated by a burning scaffolding beam, during the fire of September 19, 1914. In the newspapers, this statue became the “Smile of Rheims” or “Smiling Angel”, a symbol of French engineering and heritage destroyed by German brutality and bombs. The monument quickly became an emotional picture of the tragic and destructive consequences of war. From original fragments and a casting preserved in Paris, this famous figure was reconstructed after the war with American donations and was returned to its place on February 13, 1926. The Smile of Rheims was restored and the “Smiling Angel” welcomes you as you enter the huge Cathedral. This is the kind of building the gives you a sense of humility (although the aim is impress you with grandeur…) The interior of the cathedral is 138.75 m long, 30 m wide in the nave, and 38 m high in the centre. The day is set for our first meeting in Ruinart. 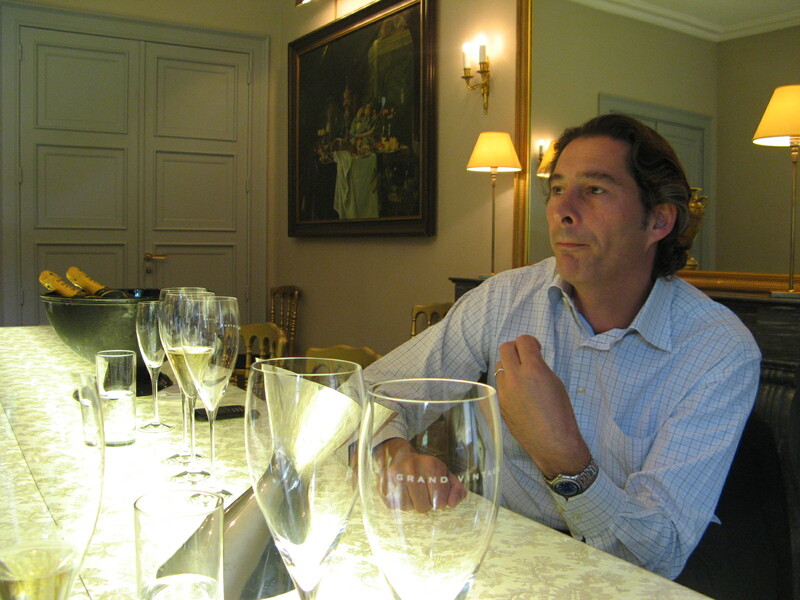 Founded in 1729 by Nicolas Ruinart, this is the first Champagne house in existence with the present, young and charming Chef de Cave, Frederic Panaiotis. He is really a most charming person who gives you a warm welcome. In the spacious tasting room, he has prepared for us a variety of wines from the NV Brut to the Dom Ruinart Rose Brut 1996, he emphasizes the difference in champagne making philosophy between the Artisans we met the day before and that of the “great Houses” who sell millions of NV champagne bottles every year, and “have to conform to a TASTE” their customers got used to… still in the last 10 years they opted to cut vineyard yields by almost 50%, thus improving the quality of the wines tremendously and reaching the level of elegance and delicacy Panaiotis believes is in the essence of champagne in a glass! 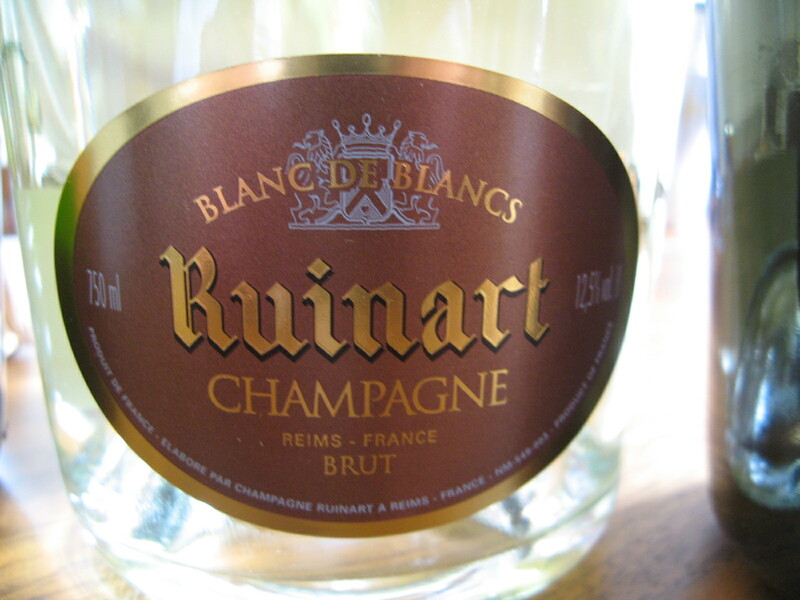 We tasted the NV Brut, Blanc de Blancs (Ruinart Blanc de Blancs, 100% Chardonnay, and Ruinart Brut Rosé, 45% Chardonnay and 55% Pinot Noir, The Dom Ruinart Rose 1996 a very pleasant, precise wine with good touch, length and balance and the 1998 Dom Ruinart Brut with its lovely show of tiny bubbles in the glass. 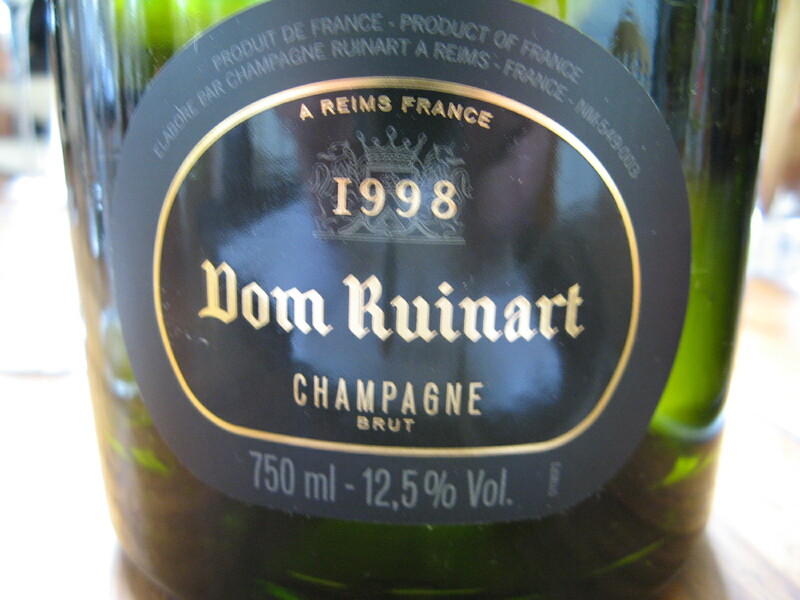 Dom Ruinart Brut 1998 is blended exclusively from Chardonnay grands crus, 66% from Cotes des Blancs and 34% from the northern part of Montagne de reims. 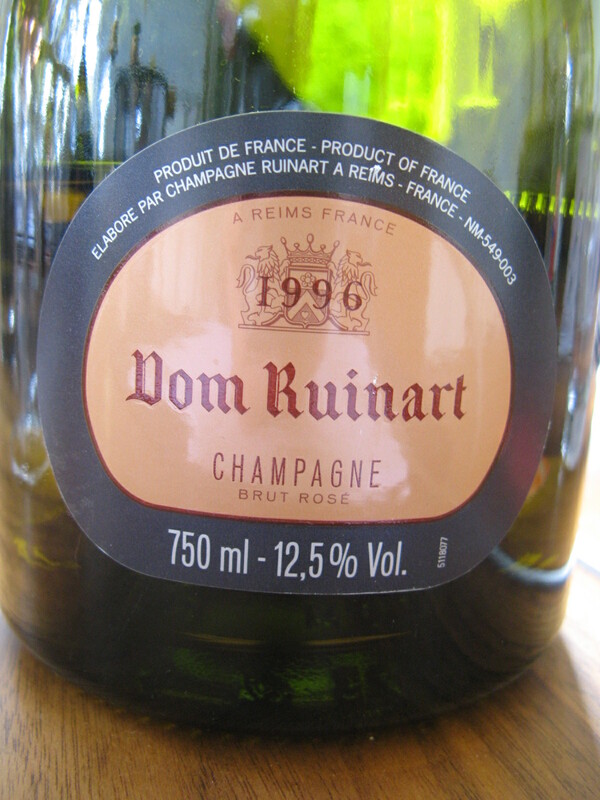 I must say The 1998 Dom Ruinart is the most elegant wine of our visit, a very voluptuous wine with multilayer’s of white flowers and fruits with roasted blanched almonds and excellent freshness and balance, WONDERFUL! Merci Frederic. Sadly we has to miss the house’s famous deep chalk cellars (called the crayeres) These were excavated around 50BC by the Romans, and are considered a French archeological monument. This is a magical place but alas we did not have time to take the cellar visit. (Some of these old “Grandes Maisons de Champagne” have kilometers upon kilometers of chalk cave/cellars at a constant 11º C, some of the tunneled caves require small trains to travel in or you spend the whole day underground (getting lost in the labyrinth of caves). But the virtual tour of the cellars on their internet site: http://www.ruinart.com is a “must visit”, check it out (there’s also a wonderful free, I pad app version). 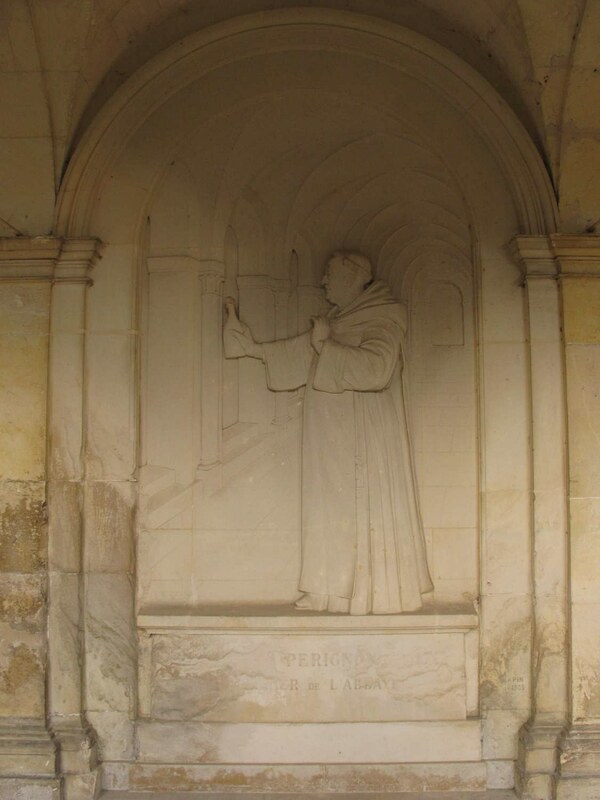 Dom Thierry Ruinart, was a learned Benedictine of the congregation of Saint-Maur, been born on June 10th, 1657 and died on September 27th, 1709, in the abbey of Hautvillers in Champagne region. 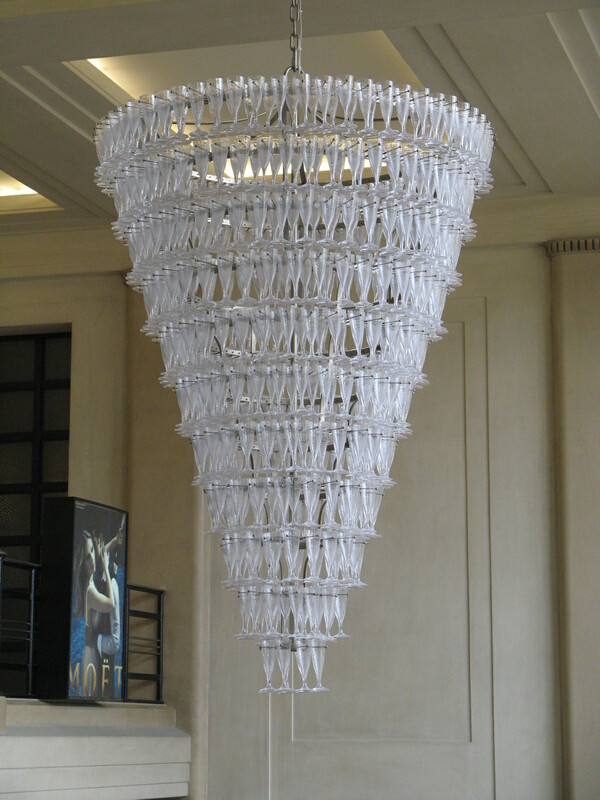 Ruinart collaborated with dom Pérignon with whom he studied and perfected the secrets of champagne-making process. 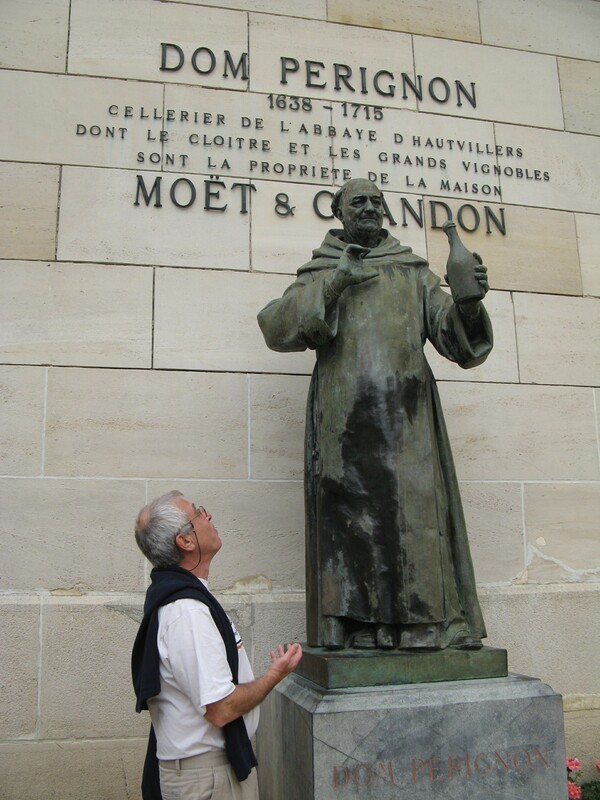 He and Dom Perignon were really good buddies and we are heading across the mountains to the “headquarters of Perignon” Moët & Chandon. 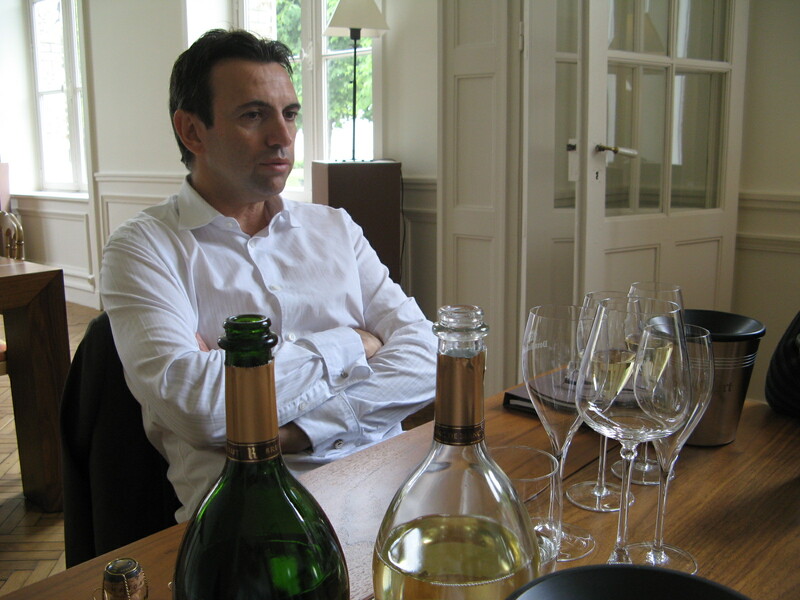 A little-known fact is that the talented Chef de Cave of Dom Perignon, Richard Geoffroy, was one of the winemakers for the 1996 Dom Ruinart! We park our car near Dom Perignon‘s statue at the entrance to Moët, as you know Dom Perignon was one of the developers of the clear, bubbly, Champagne and the initiator of using cork and cage to seal champagnes, almost in the same way we know it today… Dom Pérignon learned to select the best wine from different grape varieties grown in different soils of the area and blend them to a perfect effervescent drink. It must be said that the Dom didn’t “invent” Champagne, since the art of the double-fermentation process to produce champagne came from the experimentation and later expertise of other cellar masters of his time as well, but his name is in the front of innovations in all aspects of developing the Champagne method to producing quality clear sparkling wine and it all began during his time in the second half of the 17th century partially due to his curiosity and relentless efforts (the mystery concerning the legend of popping bottles down Perignon cellar one morning lingers on either as a fact or maybe local urban legend?). 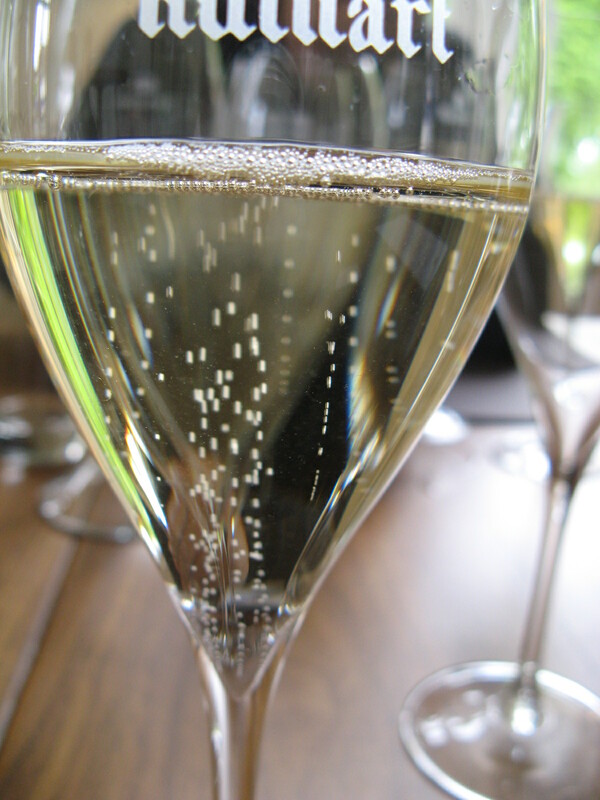 It is difficult to separate the monk Dom Pérignon from the trademark carrying his name (now belongs to Moët & Chandon) and this “line” is used for their high-end Champagne. 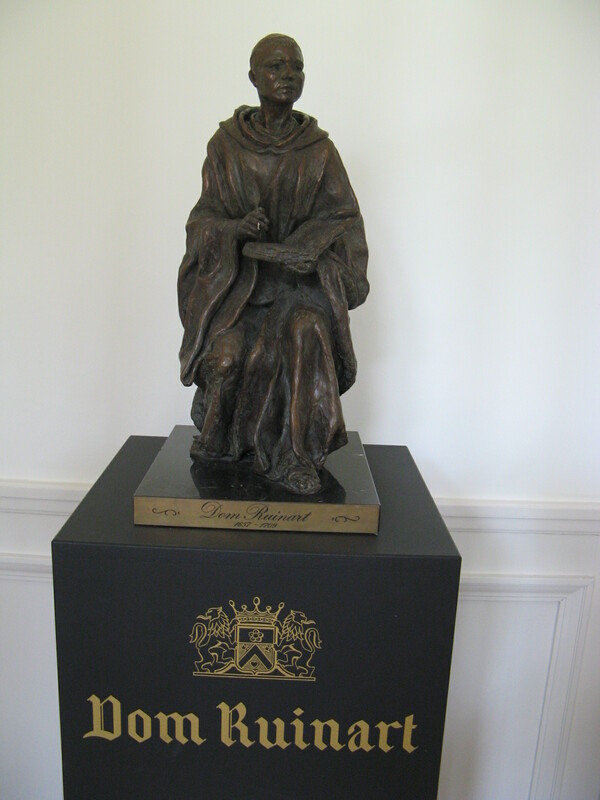 Dom Pérignon and his close friend Dom Ruinart both ended up as namesakes of their trademark. Their abbey: Hautvillers, is located 4½ miles from Epernay, and overlooks the vineyards along the slopes of the Mountain of Reims is a testimony to their acheivments. 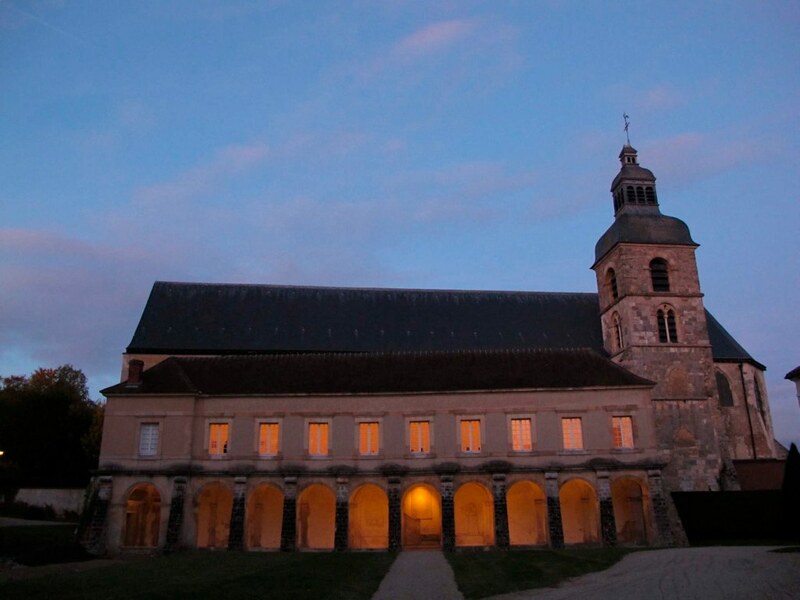 Dom Petrus (Pierre) Pérignon, (1639-1715) is burried in the abbey church of Hautvillers in Champagne France’s where he served as cellar master at the Benedictine Abbey of Hautvillers for many years. 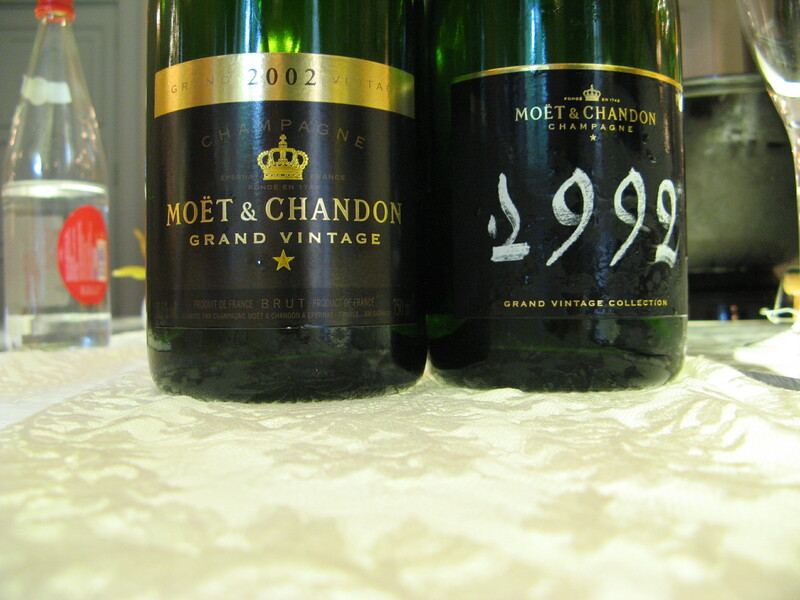 The Grand Vintage 2002 is one of the finest wine made under this label and can rival even some lesser vintages of Dom. It has fruit and elegance. Made from 45% Pinot noir, 15% Pinot meunie and 40% chardonnay. The aroma of apple blossom, pears and white wild flowers is apparent, with very long finish of rich and buttery brioche touch. Excellent champagne! The Moët & Chandon 1992 Grand Vintage Collection Brut is a real keeper on it’s 19 years of age still a very fresh wine, with flinty, mineral, extremely dry texture. The acidity is fully present with a kick, still very refreshing, and crisp.